On the outside, those changes include side vent badging and Gloss Black alloy wheels and a choice of three exterior colours; Yulong White, Santorini Black and Eiger Grey. Further design cues include a sport front bumper, Black Pack and body-coloured side sills. There’s also a boot spoiler and 18-inch Chalice alloy wheels in gloss black finish, while inside, there’s R-Sport full leather seats, and Chequered Flag tread-plates, a Dark Hex aluminium instrument panel finish and specially-selected colour combinations. A selection of the most popular optional features fitted to the XF are also standard on the special edition, including Navigation Pro with InControl Connect Pro, which includes a live traffic function which helps drivers avoid traffic jams for a more seamless journey. Further features include the 12.3-inch interactive driver display and key-less entry. The Chequered Flag special edition is available with a range of Ingenium power plants, from the 132kW diesel through to the 184kW and 221kW petrol engines. 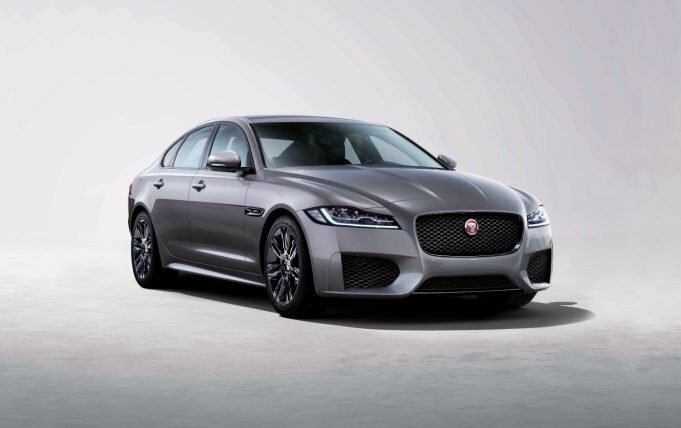 Chequered Flag pricing for the 2020 model range starts from $94,900 for the saloon and $101,400 for the Sportbrake, and all special edition models include the new Smartphone Pack featuring Apple CarPlay and Android Auto as standard. Normal XF pricing starts at $81,700. All prices listed here are plus on-roads.